February 6 or April 25? Welcome to my website, NZHistoryJock. has taught history at Victoria University of Wellington where I established the Stout Research Centre for New Zealand Studies. 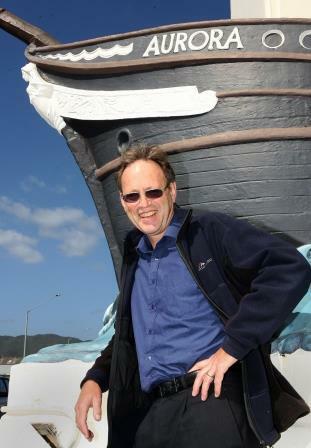 has been Chief Historian for the New Zealand government and oversaw major historical projects such as the New Zealand Historical Atlas. was a Conceptual Leader at Te Papa, Museum of New Zealand where I led the development of the Day1 history exhibitions. was the originator and General Editor of Te Ara, the Encyclopedia of New Zealand (www.TeAra.govt.nz). has written by myself or with others over a dozen books of New Zealand history. You can read about me in more detail here. Now that I have left the public service with the first build of Te Ara complete, I am keen to assist and encourage people to get a better understanding of New Zealand and its fascinating history. I have had a long experience in communicating history through writing, speeches, radio broadcasts, exhibitions, websites, historical tours. Here you will find more information about the services I offer. You can purchase books that I am publishing, read some of my writing, and hear some of my radio broadcasts. You can also enjoy, and contribute, to my blog. This country has an engrossing history – and there is more of it everyday! You can contact me at shock@xtra.co.nz. I have just purchased ‘Brothers in Arms. Gordon and Robin Harper in the Great War’. Two weeks I got out from Massey Uni’s PN library, the small book of the Harper brothers’ letters and was really caught by their letters. Then your marvellous book was on the Poppies shelves. May I congratulate you on your book. A beautiful and serendipitous thing! The timing of your book’s release has provoked me to write to you: I am currently a PhD candidate at CoCA, Massey Wellington. My project is based on the letters and diaries of a NZ FWW artilleryman who served at Gallipoli as a gunner and finished up a Captain at Koln in 1919. I am making sculptures in response to this narrative, which are informed by material culture studies and am currently working towards confirmation later in the year. Your book is a welcome addition to the primary source canon. Hello, I attended a talk you gave on memorials in 2015 during Auckland’s Heritage Week. You mentioned that ‘The Sorrow and the Pride’ would be updated and republished in 2016. Is there a publication date? with thanks. The update called To the Memory: New Zealand’s War Memorials is now available in all bookshops. Enjoy!